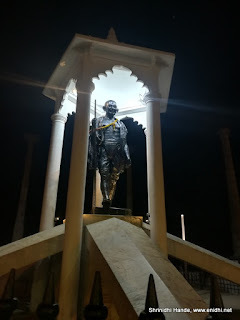 Based on my numerous visits to Pondicherry and last weekend's overnight trip experience and observations, in this post shares an idea how best to spend 48 hours in the former French town of Pondy. This plan assumes you will arrive in Pondy on day 01 early morning and return on day 02 night or day 03 morning. Depending on arrival, departure time and your preference, feel free to tweak or customize this plan for your trip. 9.30-9.45 AM- Reach Auroville, wait in line to get Pass to go inside Matrimandir next day (detailed process here). Carry a book (if you've to wait in line) and ID proof. I am assuming you're keen to view Matrimandir from inside and meditate a bit- if not you can skip this part. POGO Land Amusement park might be a good alternative. 11 AM- Boat ride to Paradise beach (can also be reached by road). Several years ago a boat ticket was Rs 60 per person- now has gone up all the way to Rs 300 per person. If boat ride is not the most exciting thing for you, it is possible to reach Paradise beach by road. 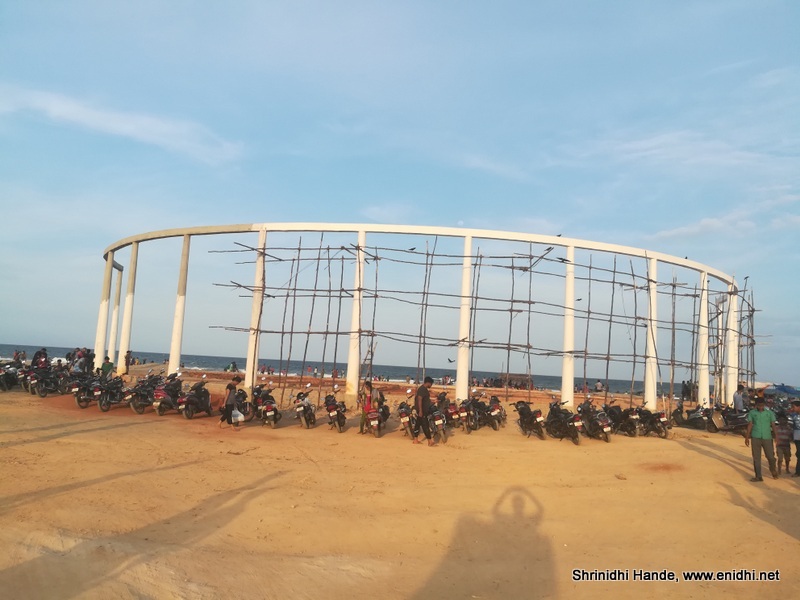 An amphitheater kind of place was being constructed in Paradise Beach. Take a swim, you might want to try some sea food or other refreshments available at beach side shacks- be advised they are very rudimentary, bit expensive and may not always be very healthy. 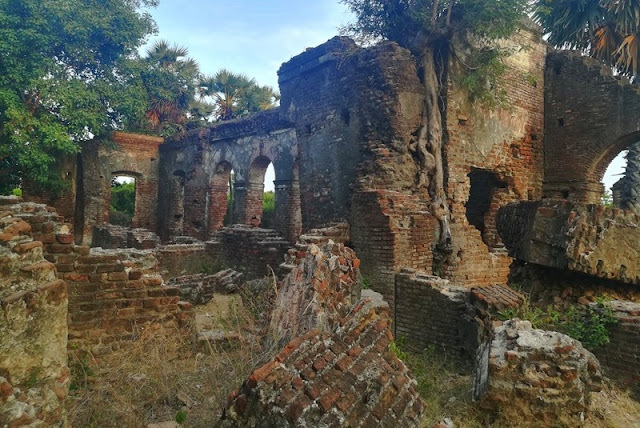 Around 3 kms from Paradise beach is Arikamedu- an abandoned structure- if you're pressed for time or not interested in seeing ruins you may skip this completely. 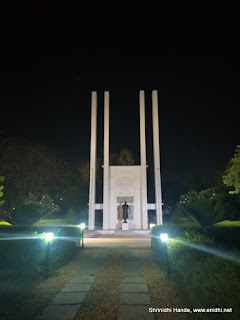 Else you spend some time in Arikamedu campus playing hide and seek or relaxing under the tree or exploring nearby areas. The Arikamadu campus has a broken fencing and no caretakers/staff and could have been maintained better. Since most hotels allow check in at around 12 noon, it makes sense to explore the town a bit first and then head to hotel. 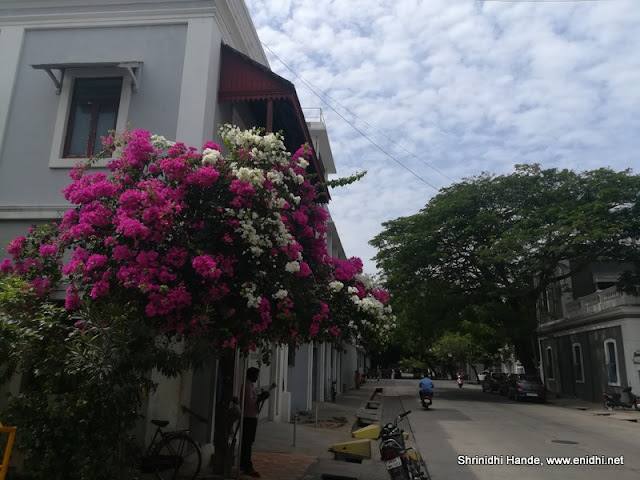 If you're looking for one in budget, check Treebo Red Lotus Heritage-Detailed review here, you can book on Treebos in Pondicherry. This one is centrally located in white town, within walking distance from rock beach, museum, ashrama, park etc. There restaurants suiting every budget and style-most of them located in and around White Town. Have your lunch, relax a bit. Pondicherry museum is a small 2 story building that houses several ancient artefacts. Entry fee is Rs 10 and can be explored reasonably in 20-30 minutes flat. Pondicherry light house is open to public from 3 PM to 5PM- so be sure to reach within this time. It is just 2-3 kms from town. This spot is popular with locals and don't appear on any list of "top places to visit in Pondicherry". Located just about 3-4 kms from town, the fishing harbor front is a scenic sea front where waves splash on rocks. 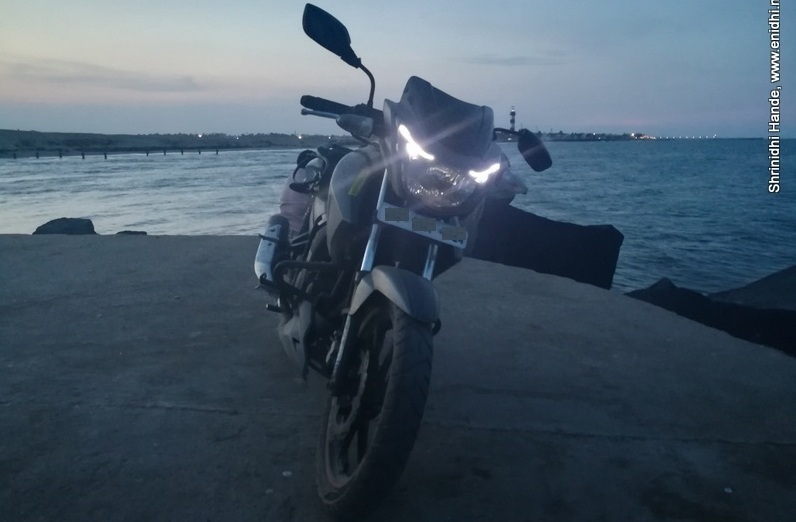 You can drive/ride all the way till the waterfront and spend some relaxed time on the rocks. 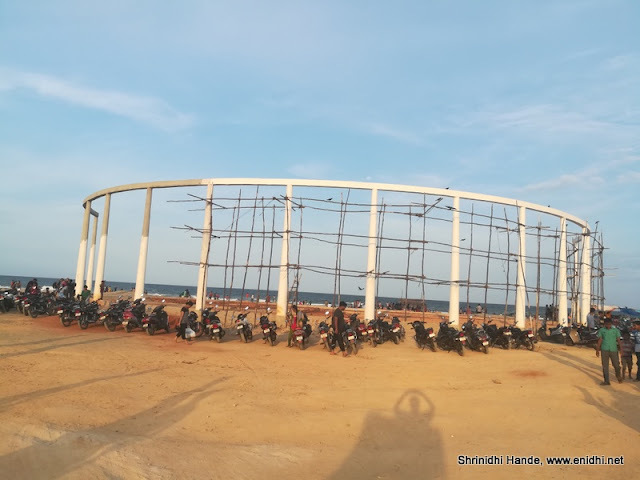 On day 1 we reached a spot which was opposite to fishing harbor front- can be located on map using 'Veerampattinam football ground", which looked like below. On Day 2 we went to Fishing Harbor front, managed to reach a few minutes before it got dark. Couldn't take good pictures. If you’re staying close to the beach, in a hotel like Treebo Red Lotus Heritage, I recommend getting up early and going for a walk along the rock beach-enjoy a nice sunrise, try some herbal soups and get back to hotel before it gets hot and tourist crowd pours in. 8.40 AM- Be inside Auroville visitor information centre's video room for Matrimandir Inner chamber visit. Here's the detailed account of Matrimandir inner chamber visit experience. It will be 11 AM when you come out. 11.30- 2 PM Visit Solitude Farm, lunch at their cafetaria. Solitude farm is about 1.5kms from Auroville- you can either walk directly-saving time or go back to Auroville parking area, get your vehicle and reach Solitude Farm- which will add to time. Once at Farm you can buy some organic stuff/have nice lunch/juices etc at the farm kitchen. You can check on their facebook page to see if they have any special programs that you can attend. My detailed experience is available in this post- but this was a 11 AM to 4 PM program. Osudu lake is said to have lots of birds- but probability of finding one may not be very high, unless you go in season (November-Feb) or have lots of time and patience to wait for few of them to show up. I couldn't locate a designated viewing point- it is a long lake you have you make your way closer and explore. If you're not serious skip this. 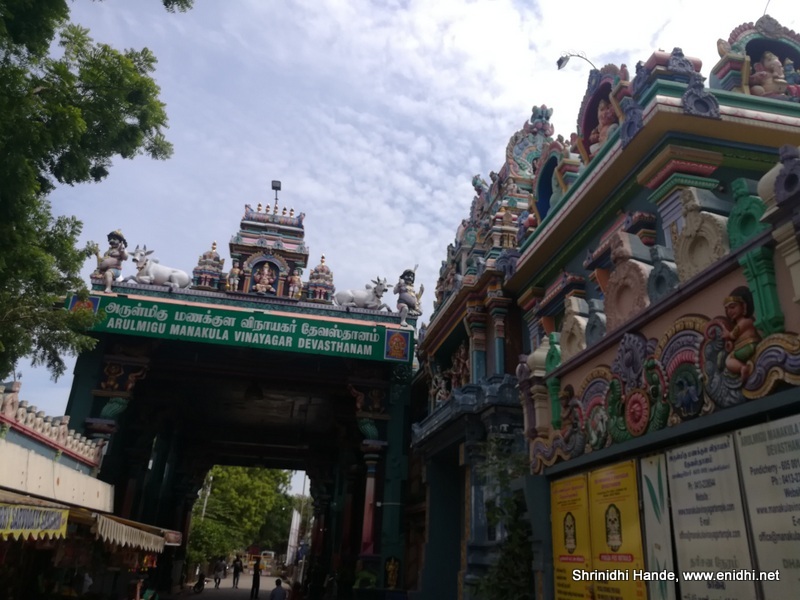 4 PM: Visit Vinayagar temple in the white town (opens 4 PM), stroll around the white town, relishing fresh colonial style. You might find some highly photogenic streets. Around 6PM, it might be time to start return journey to Chennai. A more comfortable option will be to spend another night and start next day morning. Auroville is closed on Sunday afternoon. Visit Saturday or Sunday morning- regular visitors will only get to see the Matrimandir from a distance, after forcefully watching a video and having to walk a few kms- not really worth in my opinion unless you’re very keen. 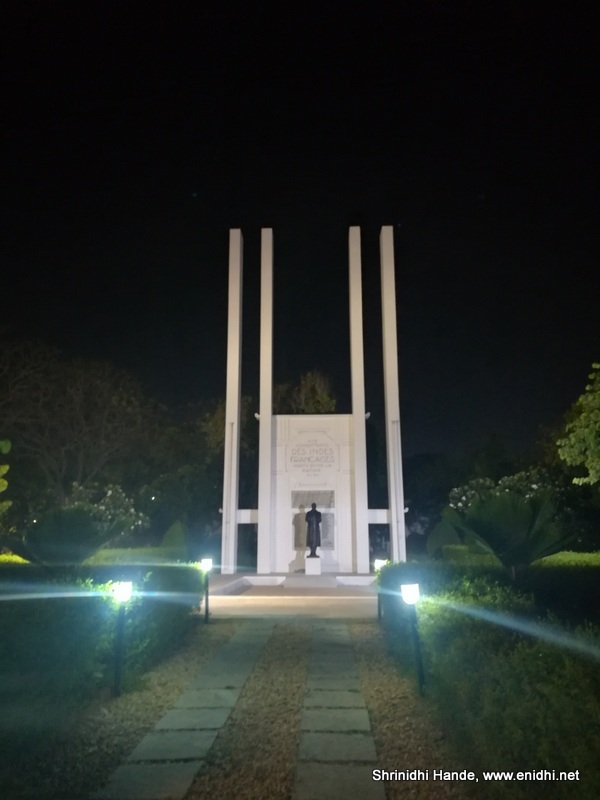 Going inside is a far more complicated process- requires you to go on a previous day and collect a pass and go to Auroville again on next day. 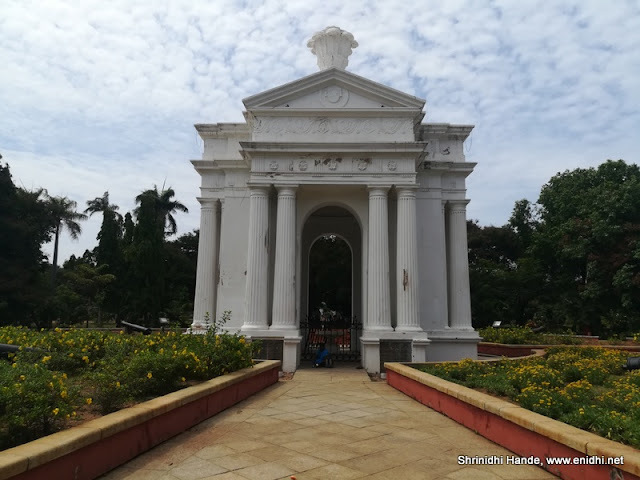 While alcohol is cheap in Pondicherry, trying to take a few bottles with you back home might result in these bottles being confiscated by the police, who would have setup prohibition check post at various exit points. 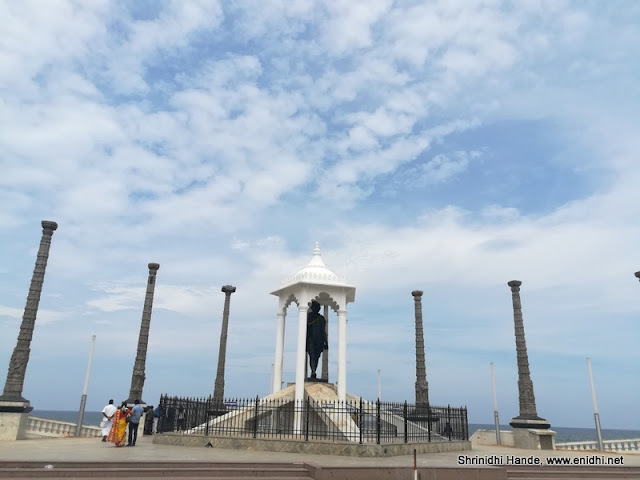 Tourist vehicles with non PY registration will have to pay an entry fee while entering Pondichery. While actual fee is just Rs 28 for a 5 seater car, your taxi driver may demand Rs 150 or more from you- be careful on this, insist on seeing original receipt. Fuel is cheaper in Pondicherry by a few rupees a litre- so you might want to fill the tank on your way back. 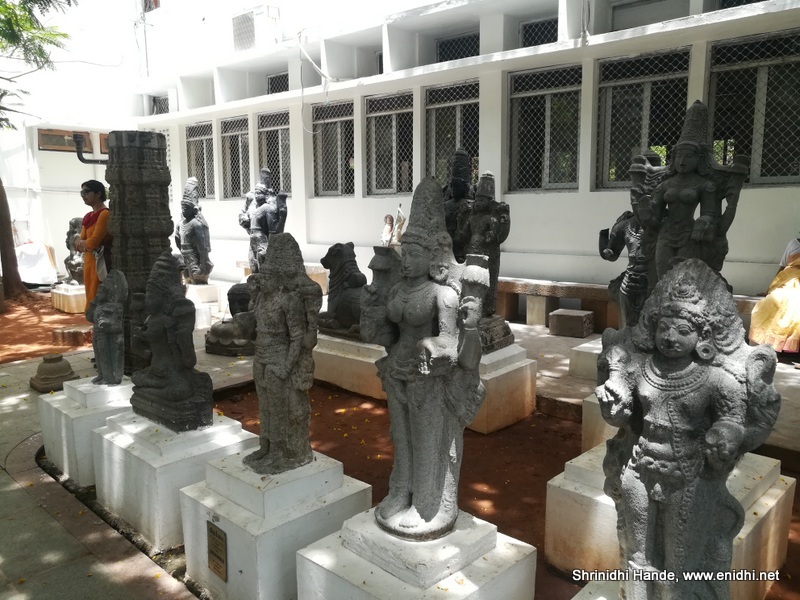 Shopping: I wouldn’t recommend heavy duty shopping in Pondichery- most items are priced higher and targeted at tourists. Buy a few souvenirs, hand-made artefacts if you wish. 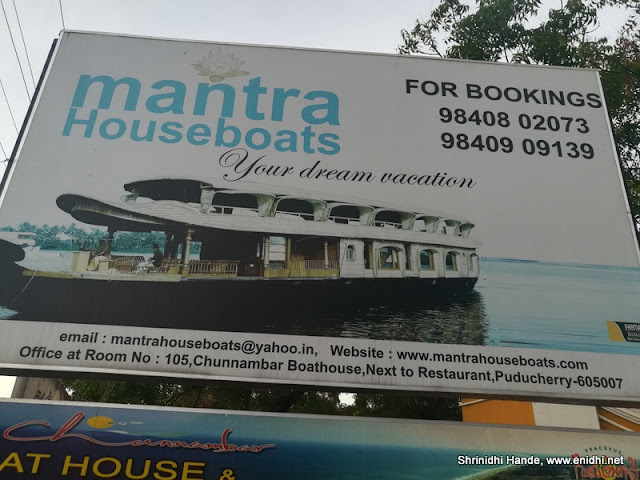 Watersports: Pondichery hasn’t been traditionally known for watersports, but if you’re seriously looking for them, there’re a few operators offering surfing, Scuba diving etc. Lots of surfing happens at Kovalam closer to Chennai. There’re a few surf schools- Kallialay Surf School near Serenity beach- go with prior discussion- Simply walking in may not be good idea . For Scuba diving check with Temple Adventures I have not tried these watersports- this will demand dedicated time. Drinking water is available at Auroville, near Gandhi Statue etc. Might be good idea to carry a bottle ad fill up than spend a lot on buying bottled water. 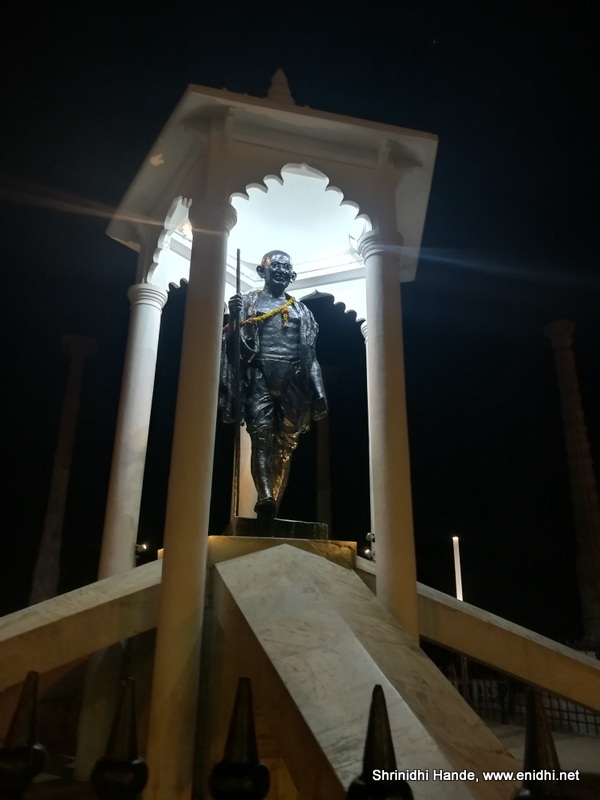 Have a great stay in Pondicherry. That's a nice list! 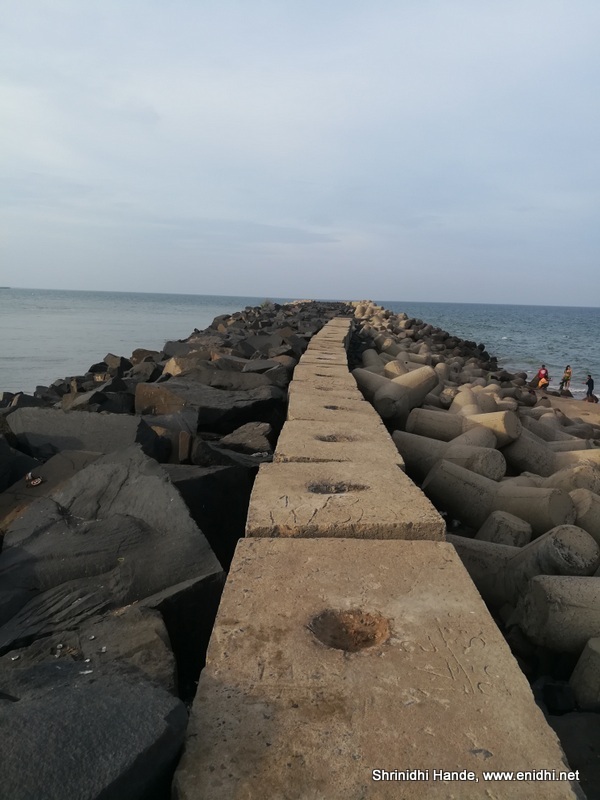 Pondi does have some secret beaches like the Veerampattinam Beach. Next time, I'll visit this.